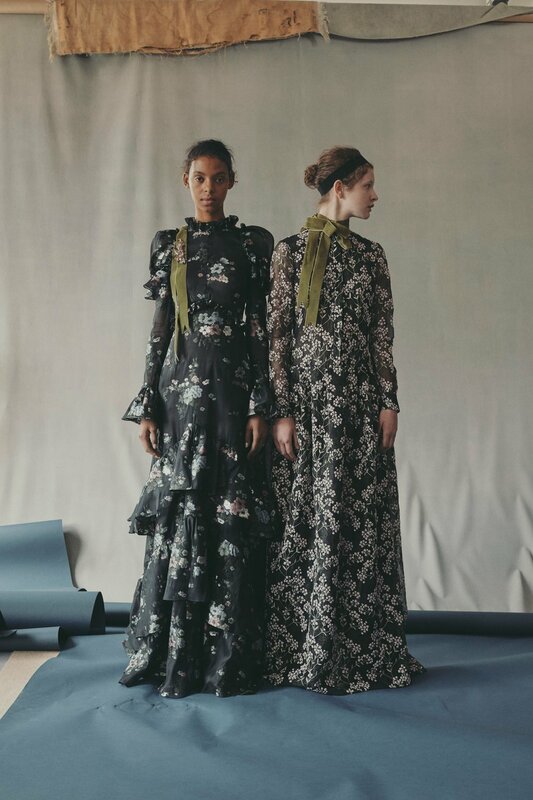 Established in 2005, Erdem has become synonymous with experimental textiles, vibrant prints, versatile yet powerful femininity that speaks to a variety of women. 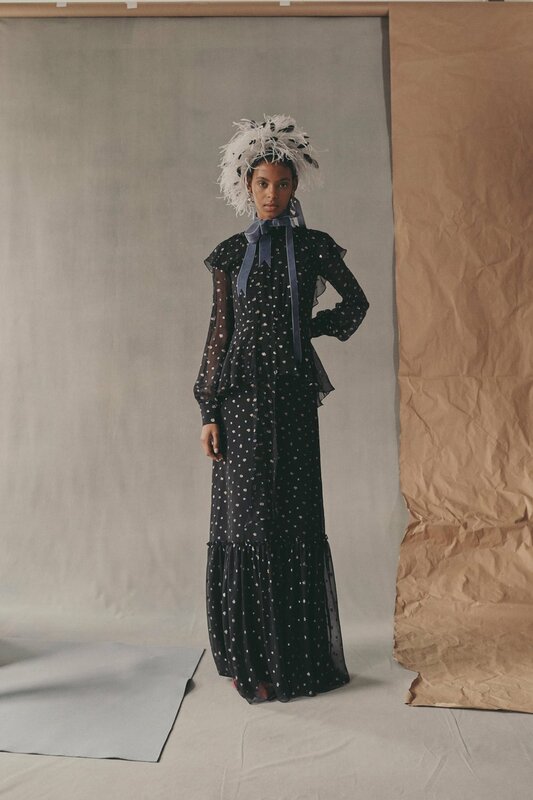 Behind the brand also known for its detailed craftmanship is Turkish Canadian designer Erdem Moralioglu, who studied at the prestigious Royal College of Art and interned with Vivienne Westwood. Over the years, the talented designer has received many awards and accolades and gained a wide celebrity following. 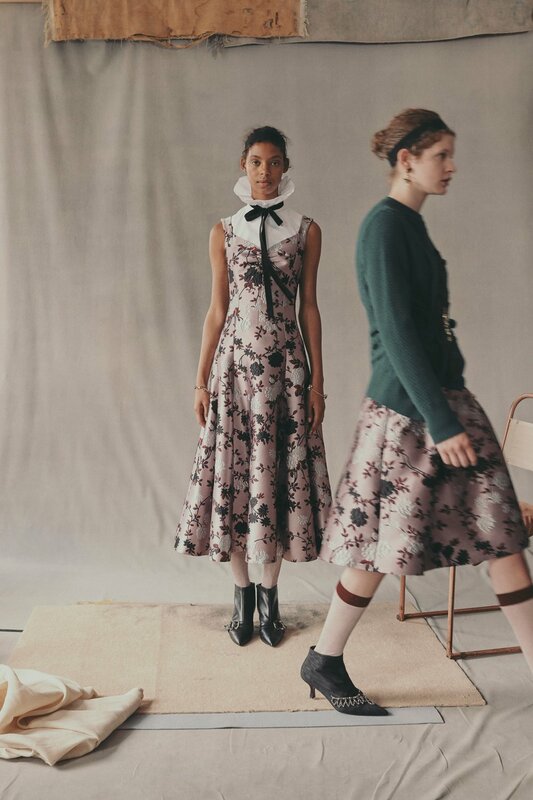 Drawing on inspiration from the work of photographers Diana Arbus and William Eggleston, Erdem has created an interesting and bold Resort collection that will charm his fans and intrigue new ones. 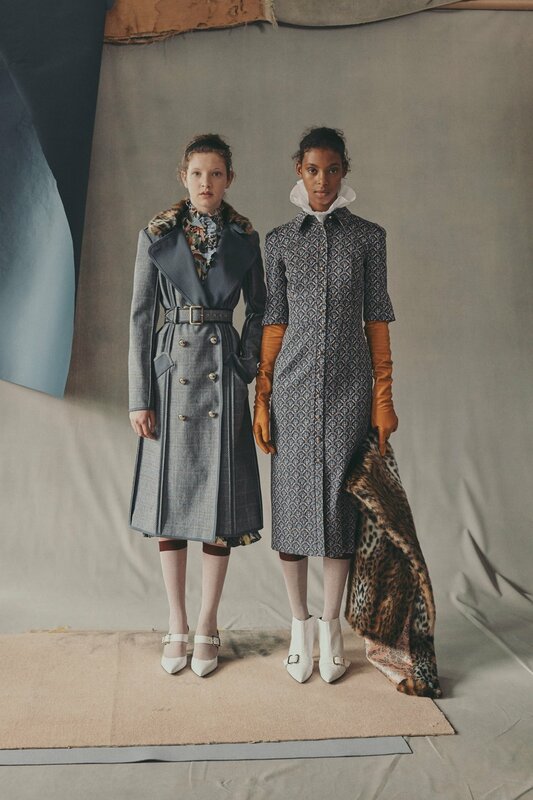 Bold floral prints, dramatic collars, and vintage elbow-length gloves all culminated in several stand-out looks with tons of editorial appeal. 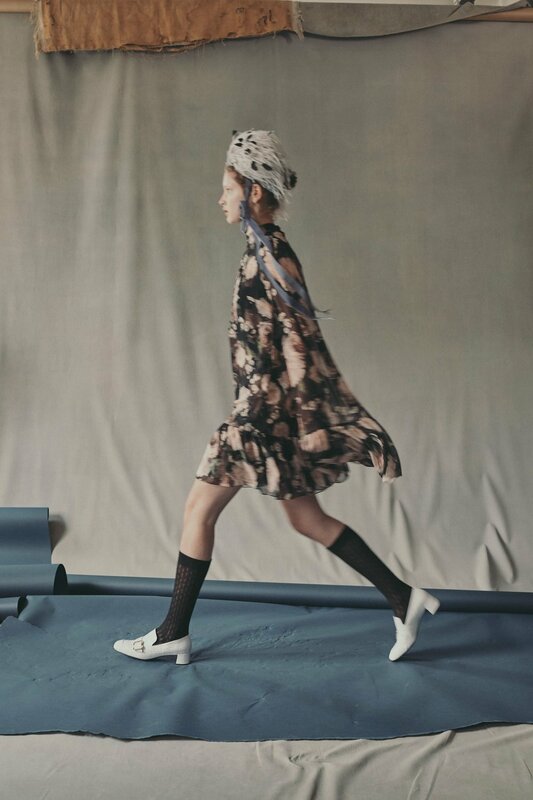 Styled with unusual, at times even funny, hats, calf-length stockings and odd loafers, some looks seemed to clash more than match yet still somehow worked together. The colour palette was busy with several floral prints from the darker and dustier tones such as navy blue, black and grey to lighter tones such as pink, white and metallic silver. 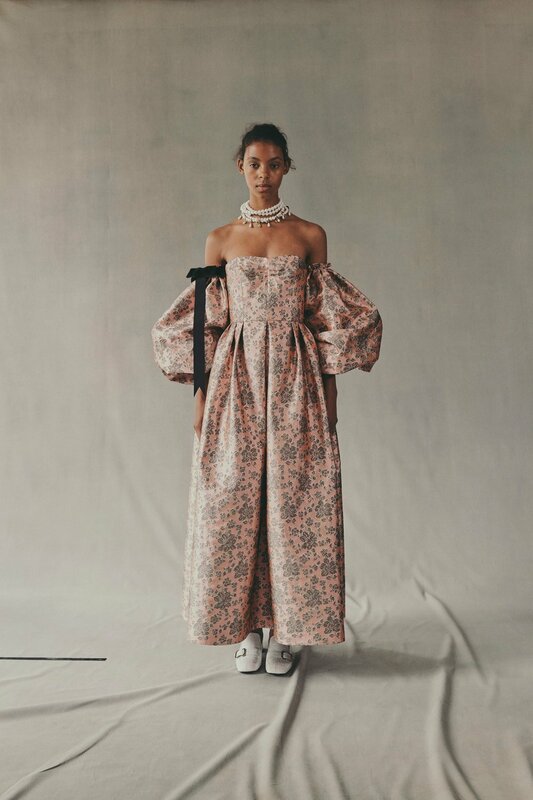 The Victorian and pipe collars stood out and certainly made a focal point borderlining the avant-garde yet remaining very Erdem-esque. 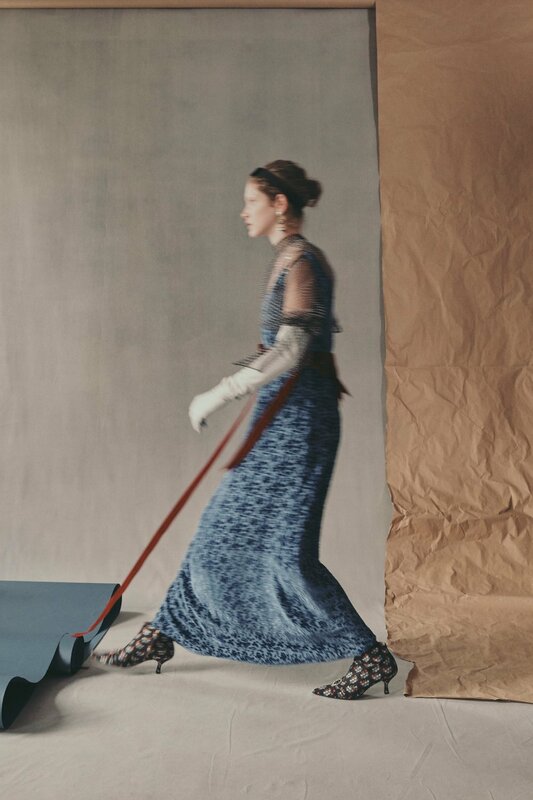 The Turkish and Canadian designer had also played with the silhouettes almost distorting them to mimic a dress that had its lining pulled out without actually distorting them. 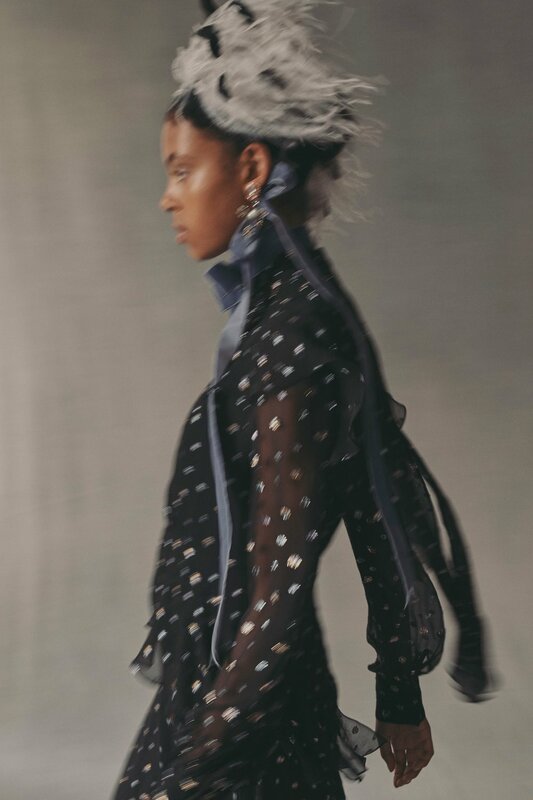 Among the stand-out looks were a couple of sheer chiffon dresses in silver and navy blue with white dots styled with a sass at the waist tied in a bow as well as a pink floral coat with pleting at the back. 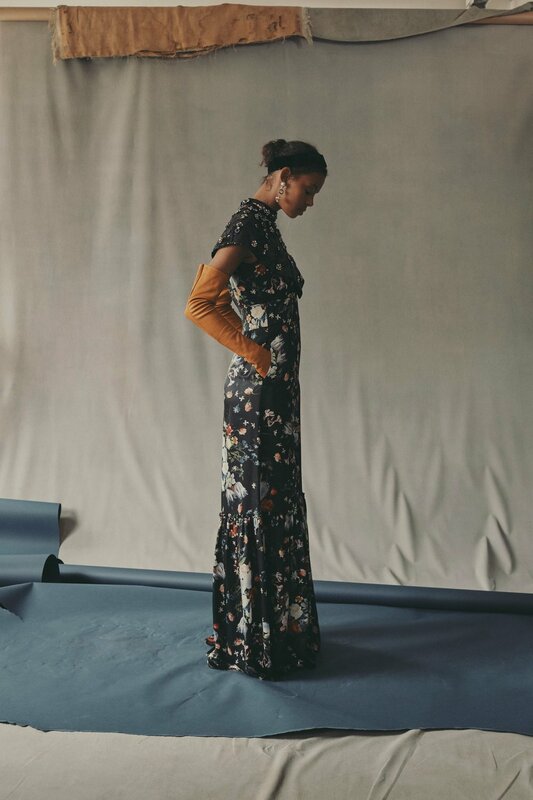 Many of the floral dresses felt romantic and feminine with a vintage feel that undoubtedly will do well with many fashionistas around the globe. 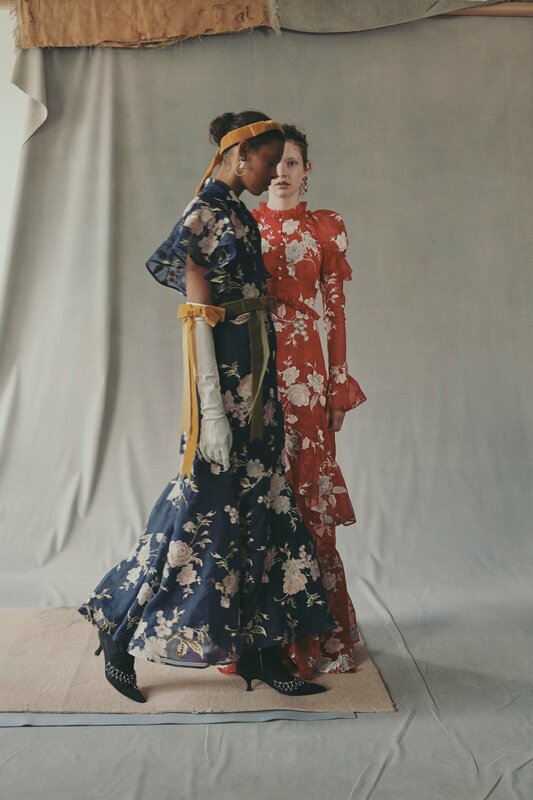 Erdem has created a very intriguing Resort 2019 collection with tons of editorial appeal that will only cement him further into the world of fashion.